Our wedding guestbook — my baby sister bought us The Real Wedding of the Century guestbook and it’s a slambook / fill-in-the-blanks type. Not all of our guests wrote on it, but the people who did were so witty and creative, Mario and I are laughing at their answers! For non-wedding related ~literature~, I’m planning to read Neil Gaiman’s Unnatural Creatures next. Just this post. But I foresee in the near future (a.k.a tomorrow) that I’ll be writing incident reports for whatever issues that happened while I was on leave. To people and some tugsh tugsh sounds from our neighbor. My relatives from Quezon came and I’m just glad that the house sounds so lively. About how lucky and blessed we are. Planning a wedding is never easy, especially on the wallet. The past week, we were down to our last pesos but the resources that we still needed just came pouring on us. It’s true that He provides for whatever you need, even if you haven’t asked yet. For nothing, really. Contentment is such a relaxing feeling. For less traffic when we travel back to Manila later this afternoon. Nothing. 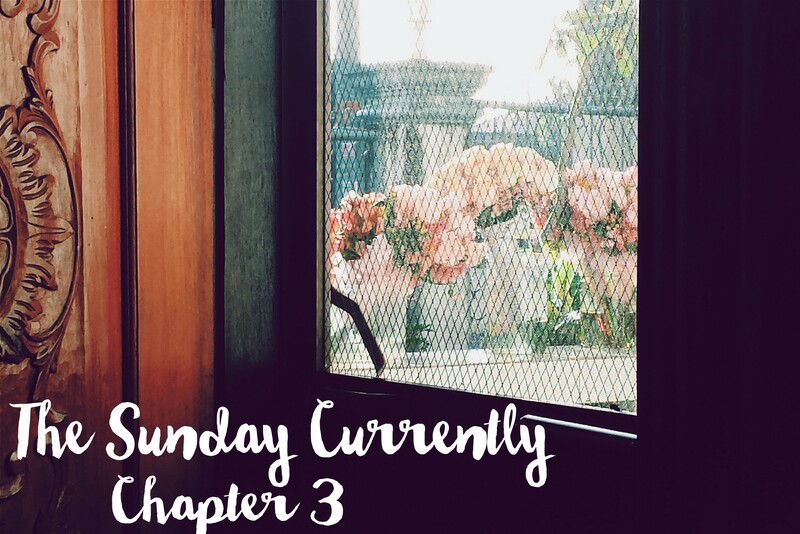 I was about to take a bath and then I realized I needed to write this week’s Sunday Currently because today (and yesterday) is too wonderful to not be recognized. My husband and son even more. I know that it’s cheesy but they’re the best! To thank everyone who made #TheBabs2015 wedding and christening celebration possible. A few more words and a lot more gestures to be able to do that want above. Also: To compile and edit all the pictures from the event, and write up (two) decent blogs to document one of the most important events for our family. Relieved, loved, contented and extremely happy! Thank you! 🙂 I hope yours went well too!